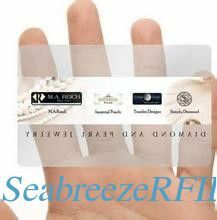 Transparent card use is made of transparent material, is on the back surface card transparent local, can sign pattern, LOGO transparent clear, can be fully transparent can be translucent, looks very luxury, transparent card can also play convex code (small convex code or big convex code) gold or silver hot and add the signature strip, according to need can also package chip. 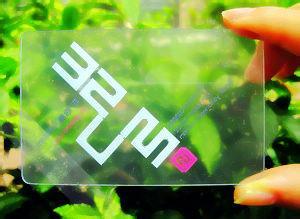 RFID card. Can also be printed bar code, and magnetic strips,etc. Chip Model: 1 S50/S70, Ultralight10, Ultralight C,I CODE SLI/SLI-S/SLI-L/SLIX, Desfire2K/4k/8K,Ti2048,EM4200,EM4305,EM4450,TK4100,T5577,CET5500,Hitagl,Hitag2,Hitags, MFlPLUS2K/4K,FMl208(CPU) and a variety of models of compatible chips. Application:Business card,apply to shopping malls,hotels,bars,restaurants,cafes,cinemas,beauty salon,net cafes,game room,and other areas of the service industry.